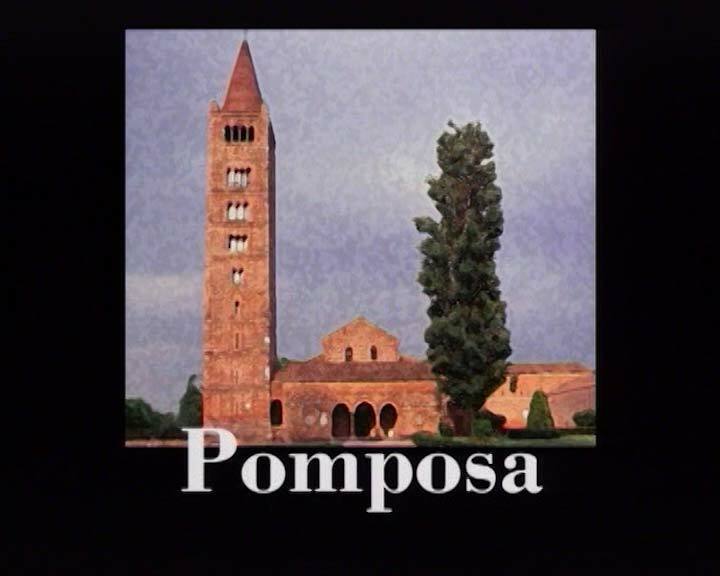 The great abbey with the lighthouse-bell tower and the monastic village of Pomposa were located at the crossroads of the “vie romee”, the roads which led to Rome through the eastern passes of the Alps and the Apennines. It was a cornerstone of culture in the lives of not only the surrounding areas but throughout central and northern Italy, earning the epithet “monasterium princeps” as wrote Guido, monk and “inventor musicae” (inventor of music). The structure is divided into three main nuclei: the church, preceded by an elegant lobby and, next to the bell tower, the monastery and the Palace of Reason. The oldest of the three is the basilica of Santa Maria (late VIII century), but at an earlier stage there may have been two small churches. The bell tower, built in 1063 by “magister Deusdedit” stands independently next to the basilica. Of the great monastery there only remains the chapter house, the dormitory above it and the refectory, which overlooks the courtyard where the corner pillars of the ancient cloister (XII century) stand. In the centre there is a fifteenth century Venetian well-head. The Palace of Reason (XI century), where the abbots administered justice in the lands of their jurisdiction, stands isolated in front of the abbey and was rebuilt, with alterations to the facade, in 1930-31. As from 1977 the Pomposa Museum is housed in the room once used as a dormitory. The exhibits are a collection of materials of the church and remnants of the building, recovered during numerous excavations or due to chance discovery.